Competition ends: 9 August 2017 at 23:59 Terms and Conditions Apply. Entries for the Competition will open at 6h00 on Saturday, 5 August 2017 and will close at 23h59 on Wednesday, 9 August 2017 (Competition Period). 4.1. SMS the keyword "WIN" followed by your name and city to 33650 within the Competition Period. 5.1. We will randomly draw 40 (forty) persons (Winners) from all valid entries by means of an automated system within 12 (twelve) hours from the closing date of the Competition Period. Late entries will not be considered. 5.2. We will contact the Winners within 12 (twelve) hours from the prize draw on the cell phone numbers from which the entries were sent. If a Winner is not contactable within 12 (twelve) hours from the prize draw, and after we have made at least 3 (three) attempts to contact the Winner, that Winner will forfeit the prize and we shall have the right to select a different Winner on the same conditions except that we shall only be required to make 1 (one) attempt to contact each further Winner drawn. 6.1. 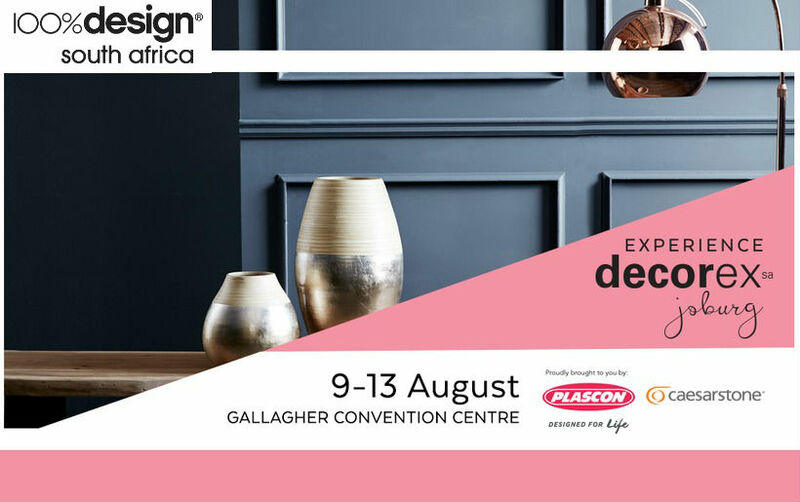 Each Winner will receive tickets for 2 (two) persons to attend any 1 (one) day of at the Decorex Johannesburg Exhibition at the Gallagher Convention Centre between 11 and 13 August 2017 (Prize/Tickets). The use of the Tickets will be subject to standard terms and conditions for admission to the Decorex Johannesburg Exhibition as promulgated by Decorex. 6.2. The Prize is limited to the Tickets only and excludes all items not mentioned in clause 6.1. Without limiting the generality of the foregoing, the Prize does not include any travel or extras. 6.3. The Winners will be required to collect the Tickets at the media counter at the entrance of the Decorex Johannesburg Exhibition between 11 and 13 August 2017.